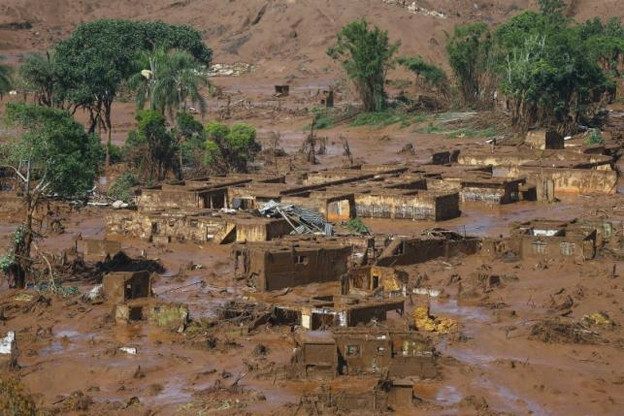 Brazilian tailings dam disaster	(www.reuters.com). Analysts at Clarksons Platou Securities said on Friday that the likelihood of a lengthy stoppage at the Germano mine, which accounts for about one-fifth of seaborne pellet market, could lift iron ore prices. Samarco produces 30 million tonnes per year of pellet, used to make steel. All this mine shuttering is finally paying off! Samarco officials said on Friday the Santarém dam in the Germano complex (in Brazil) had collapsed along with the rupturing of the Fundão dam on Thursday. The firm said it was too early to know the reasons for the disaster or the extent of carnage. The dams had valid licenses from environmental authorities, who last inspected them in July, according to Samarco. Mount Polley was inspected, too. Mount Polley and the Germano mines are active mines, with people around to look after them. Think about what a time bomb a tailings dam would be after the mine was closed for a hundred years. Update: The old LTV tailings impoundment and dam that PolyMet proposes to use is already leaking. The reason that PolyMet was able to pick this tub up cheap was in part because of the earlier LTV bankruptcy. Now, if the DNR permits the PolyMet mine, it may be trading — probably will be trading — Cliffs Resources and Minnesota Power (why Minnesota Power would be interested in this clunker in the first place is a tale of its own, but for another day), the buyers out of bankruptcy, and real companies, to boot, for PolyMet, a junior mining company that has existed for an embarrassingly long time without ever operating a mine or earning a dime. N.B. Thanks to LeftMN writer Jeff for the link.